1. Coochbehar:- 1 (Coochbehar Sadar). 2. Jalpaiguri:- 4 ( Jalpaiguri Sadar, Malbazar , Ambari & Ghugumali). 3. 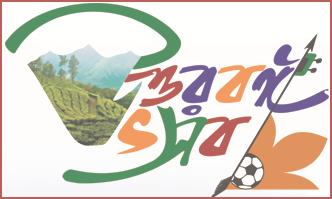 Darjeeling (Siliguri):- 6 ( Kanchanjunga Stadium, Margaret School, Balmiki School, Shiv Mandir, Bidhannagar & Khoribari). 4. Uttar Dinajpur:- 2 ( Raiganj & Islampur). 5. Dakshin Dinjapur:- 1 ( Balurghat). 6. Malda:- 2 ( Malda & Chanchal). On inaugural day Banga Ratna Samman will be awarded to 6 eminent personalities, each from a district, by Hon’ble Chief Minister and they will be handed over with a cheque of Rs. 1.00 lakh each in addition to the memento and shawl . Besides, Banga Ratna Samman, following financial assistance are also being distributed on that day. 1. Rs. 50,000 to 120 clubs for its development. 2. Rs. 10,000 to 120 students. 3. Rs. 25,000 to 100 clubs. District Magistrates of six districts of North Bengal have been requested to forward the name of eminent personality, who have excelled themselves in their respective fields viz., literature, social cause, sports etc for felicitating them with Banga Ratna Samman on the inaugural day of Uttar Banga Utsav by the Hon’ble Chief Minister. The criteria for selection of beneficiaries, in case of student, are meritorious and economically backward family. Major highlights of the Utsav, last year, was the participation of 10,374 students in the sit & draw competition held at Kanchanjunga Stadium & the participation of around 7000 runners in the marathon. This time , it is expected, that around 15,000 students will participate in the sit & draw competition and 10,000 runners are expected to participate in the marathon. Apart from these major events cricket & volley ball tournaments are also being organised. During the celebration of 2nd chapter of Uttar Banga Utsav, last year, Malda district was left out for the imposition of model code of conduct for election. Therefore, the District Magistrate Malda has been asked to forward names of additional 15 clubs and meritorious students this year. In line of this, District Magistrate, Darjeeling has been asked to forward list of 15 clubs & meritorious students separately for the three hill sub-division along with that of Siliguri. A file has been moved to Finance Department for the administrative approval of Rs. 350.00 lakh, by augmenting the NP HOA under Demand 62 for meeting the expenses of Uttar Banga Utsav. Like previous year, as a part of Uttar Banga Utsav, Birsa Munda Adivasi Football Tournament & Bir Chila Roy Women Football Tournament were also held. After completion of Block & Sub-Divisional level competition Disrict level tournaments were held from 2nd January, 2014 and the Final match of Birsa Munda Football Tournament & Bir Chila Roy Women Football Tournament were held on 10th January, 2014 at Odlabari, Malbazar. Siliguri Sub-Division won the Birsa Munda Adivasi Football Tournament and Malbazar became the champion of Bir Chila Roy women football tournament.